Featured image credit: The Construction Index. Leena Begum works as a health, safety and wellbeing coordinator on the construction site of the Thames Tideway project. If you’re not completely up to date with London’s new underground conduits for drainage water and waste, the Tideway is a 16 mile sewer tunnel from Acton, west London, to Newham, east London set to be completed in 2023. The tunnel should tackle the problem of sewage overflow into the Thames. Sorry about spending so many lines on the details of the project – we just thought it was important. Anyways, Leena is Muslim and she wears a hijab. Due to the nature of her job, she’s required to don Personal Protective Equipment (PPE), like a helmet and hi-viz clothing. As a hijabi, she found it difficult to wear the appropriate gear at the workplace. So she designed her own. 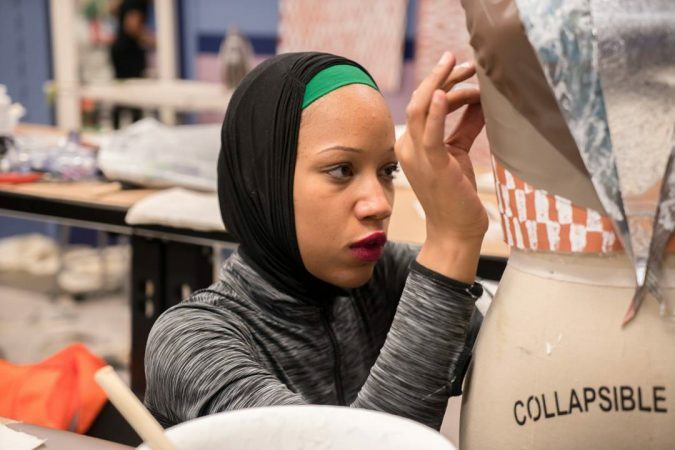 With the support of her colleagues, she created a few mock-ups for hijab and burka friendly PPE clothing. These were whizzed off to a manufacturer who created the groundbreaking prototype Leena’s rocking in the pics. 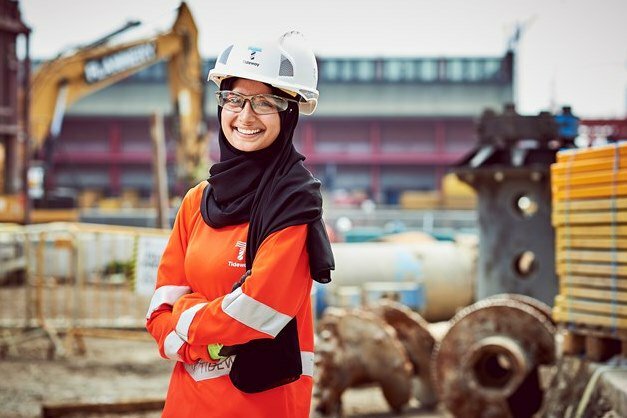 Her team on the Tideway construction site are pretty sure this is the first PPE modestwear to ever exist and, to be honest, we’ve got no plans to challenge them on that one. Whatever the case, Leena’s designs will hopefully help her industry become a more accessible environment. Leena’s designs prove that your faith should never have to be an obstacle to your chosen career, whether you work in an office, a garage or even a sewer. 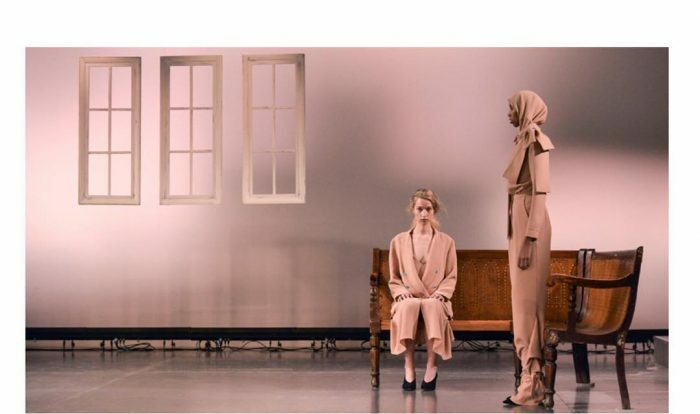 We’ve scoured social media for some of our favourite looks from London Fashion Week.